I have some great news to share! 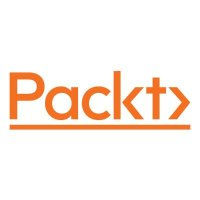 Last week I signed on the dotted line to publish a TypeScript course for Packt Publishing. I'm very excited for this opportunity--as you know, I'm a big fan of TypeScript and I talk about it a lot. This is the first video course I'll have worked on though I'm no stranger to screencasts. I'm pretty pumped and I think I have some good material to share. I hope to share more about the recording process as I dive into it--the first order of business is rigging up all the recording equipment that is sitting in my basement collecting dust and testing it. I already have a recording mic, shock mount, and preamp, for example. They are years old now so I may need to get some new equipment but I'm crossing my fingers that most of it will produce a good sound. My Sound Blaster X-Fi Elite Pro that I bought years ago is only half-working--it seems like it'll output sound for a bit and then crap out, but I'm hoping that is only limited to output and that it can still record input. The X-Fi external box supports some of the standard audio plugs I'd prefer using. It may end up I'll have to go entirely USB, we'll see. The course should be ready by mid-February and will be geared towards introducing people to TypeScript. I plan to use practical code to introduce concepts and the final volume of the course should have 2-3 small projects we'll build from scratch.